Getting emergency medical teams quickly to the scene of a disaster like a plane crash deep in forest terrain is no easy task. 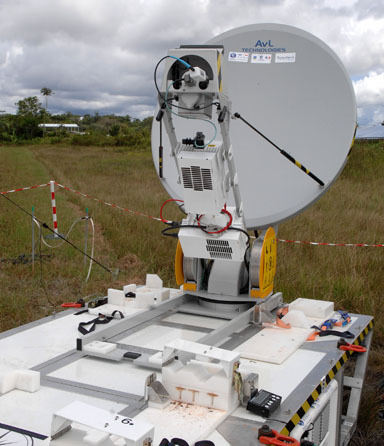 For this reason, French Guiana has worked with CNES and Thales Alenia Space to develop the PSMA emergency medical aid unit. The new unit were deployed for its latest test run on Thursday 26 March. 8.30. An alert is received after a plane crash 180 km from Cayenne in French Guiana, deep in the Amazon forest. The PSMA unit is airlifted in by helicopter. Credits: Activité Optique Vidéo du CNES/CSG. 9.50. A helicopter airlifts the PSMA* emergency medical aid unit with communications and medical equipment to the crash scene. 10.40. The unit is deployed and the crash victims attended to. This is just a simulation. But this trial deployment, designed to support emergency medical response teams at the request of emergency services in Cayenne and conducted in cooperation with the authorities last May, could well be a real-life disaster facing teams one day in the future. After training with the PSMA unit, first responders are capable of deploying and operating it in less than 1 hour. Today, 60% of staff at Cayenne hospital has been trained to work with the unit. Credits: Activité Optique Vidéo du CNES/CSG. After some adaptations to withstand the high temperatures and humidity, the PSMA unit is now virtually operational. Nathalie Ribeiro. Credits : CNES. “The officials from the prefecture who took part in the trial on 22 May were really impressed with how quickly the unit deployed and how well the communications equipment worked,” says Nathalie Ribeiro, in charge of CNES’s telemedicine and healthcare development programme. The PSMA unit’s satellite dish antenna. Credits: Activité Optique Vidéo du CNES/CSG. Restoring communications is crucial when responding to a disaster and getting aid to victims. 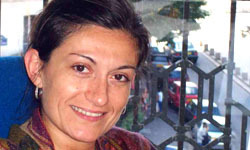 in such cases, satellites are the only way to restore communications,” explains Nathalie Ribeiro. Another strong point of the PSMA unit is that is very compact. 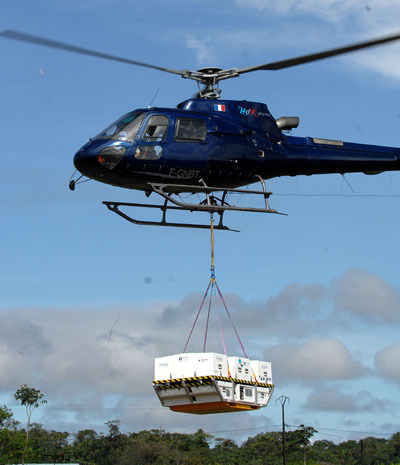 The 4-cubic-metre, 700-kg cube can be airlifted anywhere by helicopter. With 80% of its territory covered by equatorial forest that is hard to penetrate on land or by river, French Guiana is a country where the PSMA unit will prove very valuable. “This modular version spreads the load and enables equipment to be easily transported to field teams,” says Nathalie Ribeiro. With the PSMA unit, a team of 4 can operate alone for at least 48 hours in response to accidental, natural, man-made, epidemiological, environmental or terrorist disasters. Credits: Activité Optique Vidéo du CNES/CSG. Avec le PSMA, 4 personnes peuvent être autonomes pendant 48h minimum sur n’importe quel type de catastrophes : accidentelles, naturelles, industrielles, épidémiologiques, environnementales ou terroristes. Crédits : Activité Optique Vidéo du CNES/CSG.